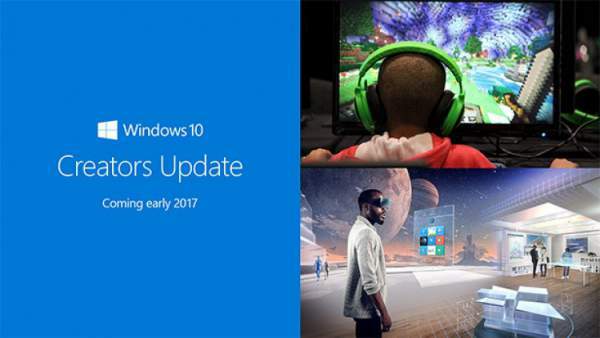 Microsoft Windows 10 Creators Update ISO Download: Microsoft has already announced the launch of the biggest technology of 2017 in PC operating system. Windows 10 Creators Update will be launched on April 11, 2017. This new update has new cool features and much more that can experience from 11 April. These new features include 3D-paint, better 3D support and an improved gaming interface that lets you broadcast and play online easier than ever before. Now the exciting news is that although the company has confirmed the launch on 11 April, we can access the Windows 10 update early. For this you have to sign up on Microsoft newest tool “Windows 10 Update Assistant, ” and you’ll be able to enjoy all new features from 5 April- that is a week early than everyone else. This new tool can be downloaded from Microsoft directly. Just download the program and install it. It will simplify the upgrade process. Start the process and program will guide you to install upgrade step by step. Check: Microsoft Xbox Project Scorpio Release Date. There are several other ways to update windows10, if you don’t want to sign up to update Assistant. You can sign up to Windows Insider Program to experience new software but this will let you install beta version only. To do this, go to setting app on windows10 > updates and security > Windows Insider program > get started. Another technical way to upgrade windows 10 is to install the ISO files from Microsoft server directly to your system. Download ISO file and mount them using Windows10 file explorer. This will then permit you to the correct setup.exe file, which will install Windows 10 Creator Update on your system. Related: Microsoft Windows 11 Release Date. Windows phone users will be able to enjoy the updates starting April 25, 2017. Window 10 has introduced the new night light feature resembles F.lux. It will shift colors automatically in dark to ease the strain on your eyes. The Windows 10 Creators Update features a new and better tab management for its Edge browser. It will enable the users to preview the tab without actually visiting all the tabs to find the one they are looking for. Other features of this Window 10 update includes a new Game Mode, 3D Paint, mixed reality headsets support, and picture-in-picture mode too. Microsoft has rolled out the latest build 15063.11. Keep visiting our site, The ReporterTimes.com for latest Microsoft news and other Tech updates round the clock.